In stock & usually dispatched within 5 working days. 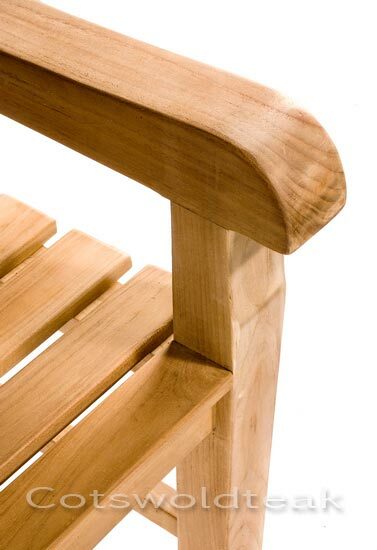 The Windsor 120cm heavy duty bench is a classic chunky bench, manufactured in the traditional manner with mortise and tenon joints and teak dowels and delivered fully assembled and ready to use. 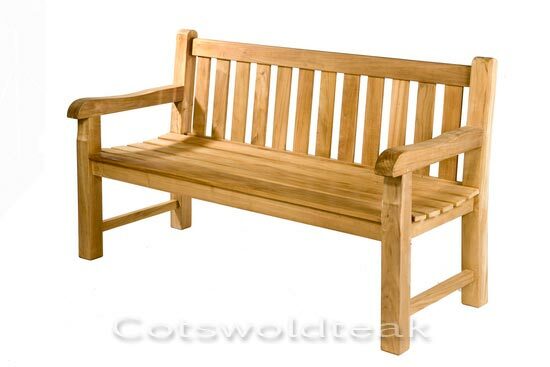 This outdoor teak garden bench is suitable for home or commercial use. The Windsor is a traditional straight back bench, with substantial 6cm square legs and has a seat shaped for comfort and is designed to stand the test of time. 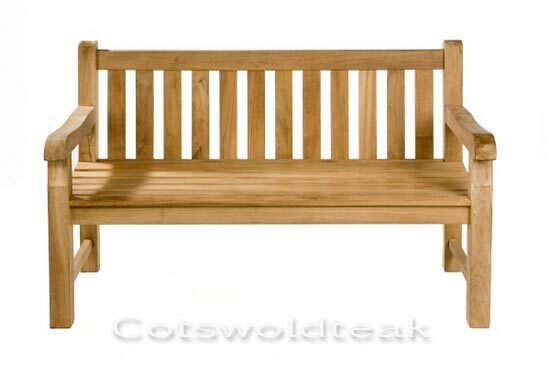 The Cotswold Teak Windsor Park bench is also available in 150cm and 180cm, these are particularly suitable as memorial or commemorative benches. Also recommended for use in Parks,Hotels, Golf / Tennis Clubs, Educational Institutions, Museums and any other commercial environments. Quality features include mortice and tenon, glued and pegged joints. Please note that all our benches are solidly built and must not be confused with inferior flat packed versions. This Bench is manufactured in our factory and is delivered to you fully assembled, (as shown above), which ensures quality, stability and longevity. Teak is one of the most durable and attractive hardwoods used for garden furniture and regular treatment is not essential. If left alone Teak naturally weathers to an ashy silver colour which darkens slightly each year, however if you would like it to maintain a Honey Brown colour we recommend using Teak Protector. For an additional cost, a brass plaque or a carved inscription can be placed on your outdoor teak park bench with the message of your choice. We also supply security fittings that can be secured to a solid base. Our quality teak commercial park benches are made in the traditional manner with tight fitting mortise and tenon joints and teak dowels. These extra strong and heavy duty benches are suitable for civic use and are delivered fully assembled. The traditional classic designs of our heavy duty wood park garden benches make them particularly suitable for open spaces or memorial sites. Click the button below to add the Windsor Heavy Duty 120cm Bench to your wish list.